Do you know all the pathways? Apoptosis is essential for removing damaged or old cells and is involved in organism development, tissue homeostasis and host defense of infected or transformed cells. Inhibited apoptotic signaling has been described as a trait of cancer cells. 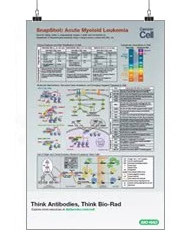 Bio-Rad offers hundreds of antibodies suitable for researching all key apoptosis pathways as well as excellent apoptosis detection kits. All of our products are guaranteed to perform to specification and are supported by knowledgeable technical specialists. For more information on assessing cell health and programmed cell death, check out our Bioradiations articles on cell viability, apoptosis, autophagy and necroptosis.